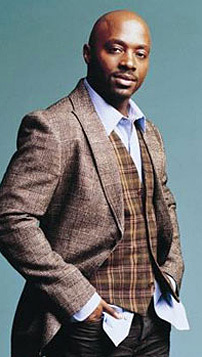 Having spent a significant part of ten years working in collaboration with modern Gospel’s music innovators, Kirk Franklin, and as an integral part of the group God’s Property-whose two-million-plus debut album still ranks as the runaway bestseller in the history of Gospel music-Myron Butler possess one of the most formidable résumés in Gospel today. At the young age of 17, his first song, Lift Him Up was recorded by the DFW Mass Choir. Soon after, he became a member of God’s Property, as a singer and the group’s main choir director. In his calling as a songwriter, he’s written for God’s Property -- songs like Up Above My Head and Thank You For Your Child on Kirk Franklin & The Family Christmas project – and for Kim Burrell on her hit, Victory. He has worked with (as a songwriter, producer and vocalist) Yolanda Adams, Natalie Grant, Donnie McClurkin, Smokie Norful, Men of Standard, Donald Lawrence & The Tri-City Singers and many others. 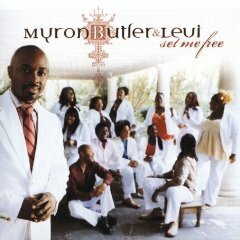 With the release of his debut solo album, "Set Me Free" (2005), Myron Butler shed his role as the man behind the success of others and assumes a place of his own. The ten-track CD finds Butler & his singing aggregation, Levi, singing praises to God with a unique mixture of traditional choir vocals over an ultra contemporary sound. With a command of a broad range of genres, Myron makes music that is as engaging and memorable as it is hard to pin down. If R&B/pop would be the broad musical umbrella over Myron Butler it would have to be broad enough to include strains of traditional Gospel, funk, rock, hip-hop, and gorgeous balladry, often masterfully interwoven into the same song. “Set Me Free,” the album’s title cut, is hooky, high-energy, melodic hip-hop with Myron and Levi both in vocal overdrive. “There are so many people, in and out of the Body of Christ, who are bound by mistakes or hurts of the past,” says Myron, “when it doesn’t have to be that way. God says He gave His Son so that we could be free indeed. We all have things that have hurt us in life, but I wanted to write a song to encourage people to not continuously carry around burdens that God Himself has already lifted from us.” Myron Butler & Levi are definitely gospel excellence and don't disappoint with this CD. 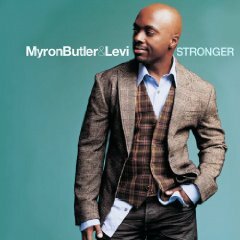 "Stronger" is the second album from Myron Butler & Levi, released on August 28, 2007 on EMI Gospel. The album, a musical sequel to Set Me Free is according to Butler "…what God has given me to give his people… My goal as a songwriter and as a leader is to deliver a message that empowers people to do what God has called them to do. "The album is a little bit of everything," says Butler "God is not just one thing and our music shouldn't be either. Everybody is at a different place and they may need something different to propel them into their destiny." Back are the familiar voices, musicians and strong songwriting, the combination which brought them acclaim (and trophies) on their EMI Gospel debut. This time around, influences from rock to pop are added to create a further dimension to the Levi sound. Myron Butler & Levi are simply the truth. Building upon their God-given success, Stronger looks to drawn in an even wider audience to deliver their encouragement and ministry, making it just that. Stronger!